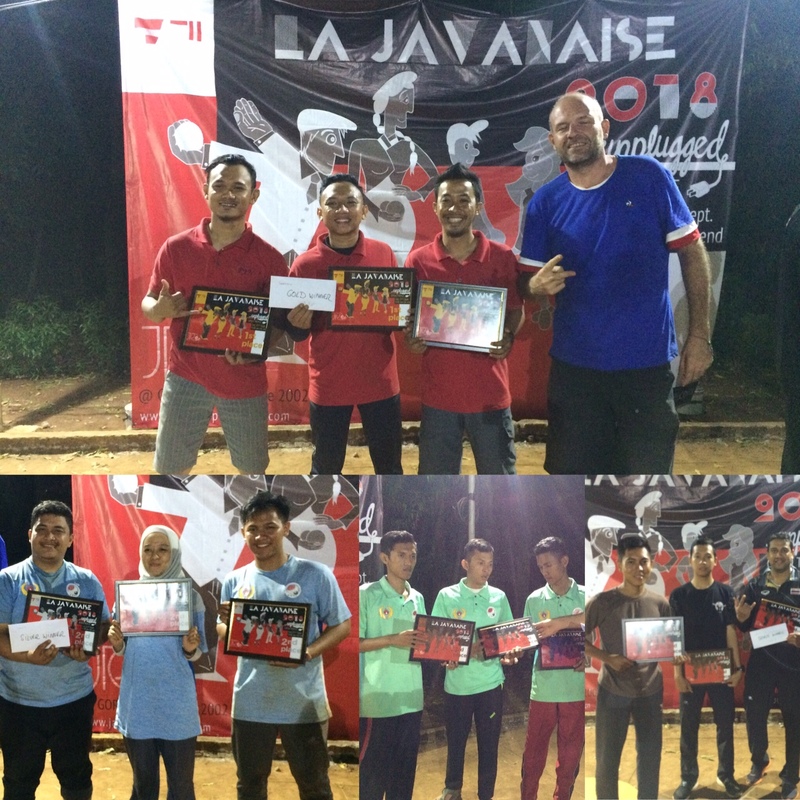 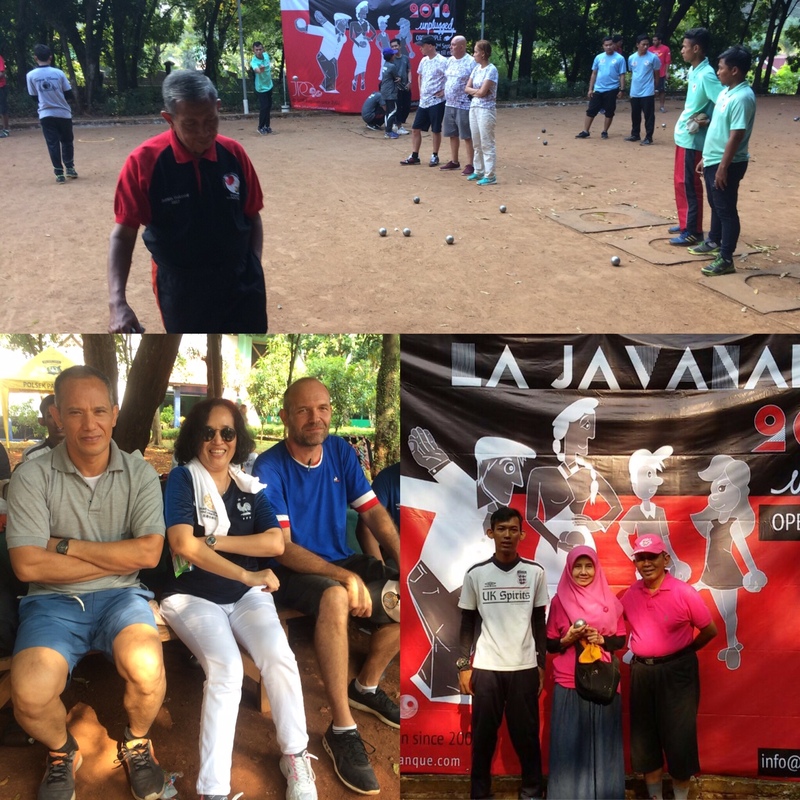 LA JAVANAISE 2017 ; annual Jakarta Petanque Club competition, was a fun two days of competition with a fair attendance of arround 200 players this year. 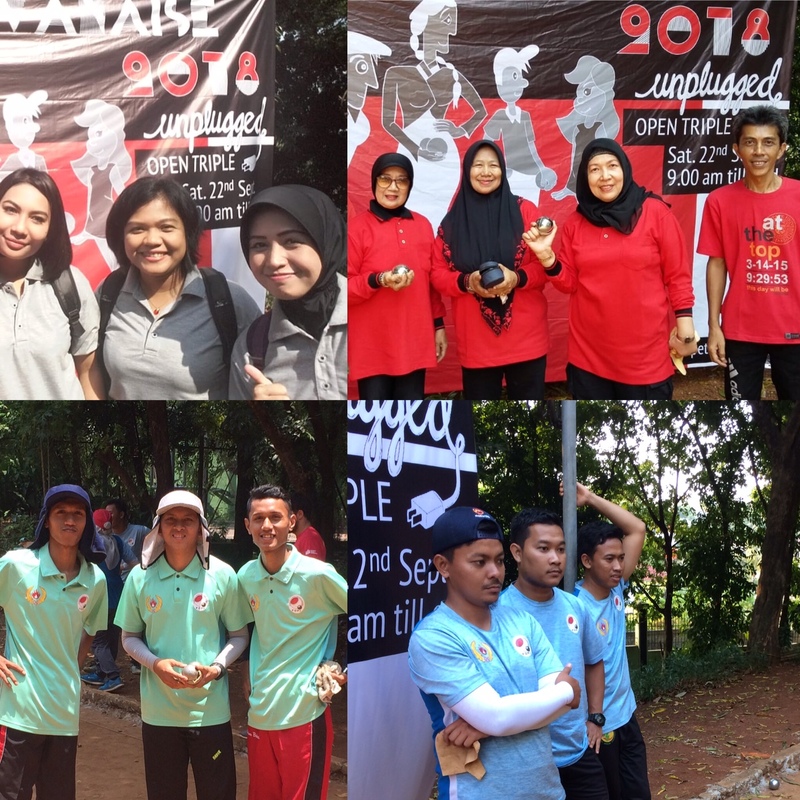 Open Triple + Double Youth. 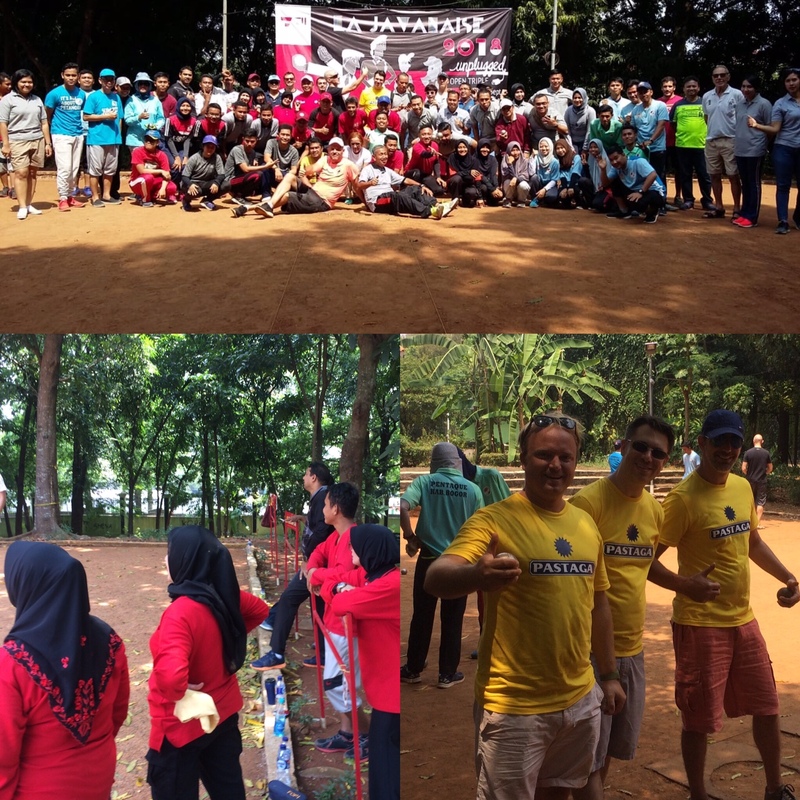 Thank you to all participants and also to his excellency M. JC Berthonnet, French Ambassador in Indonesia for his friendly visit. 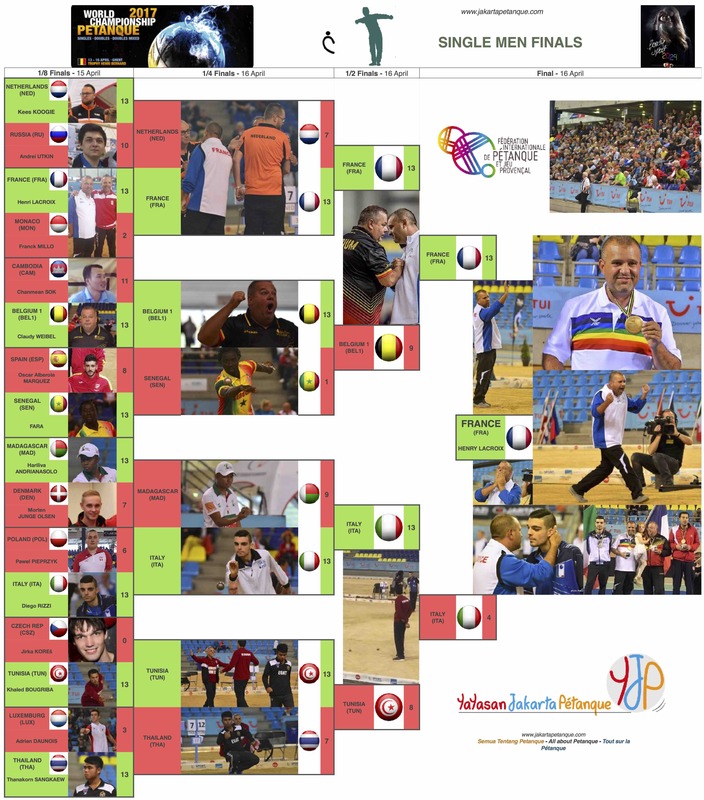 See you next year ! 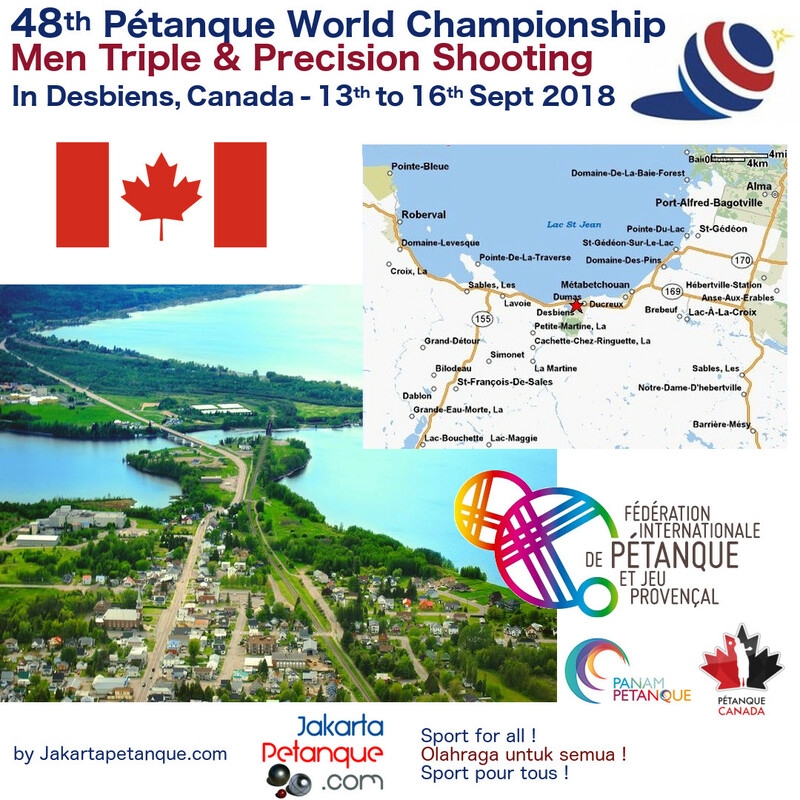 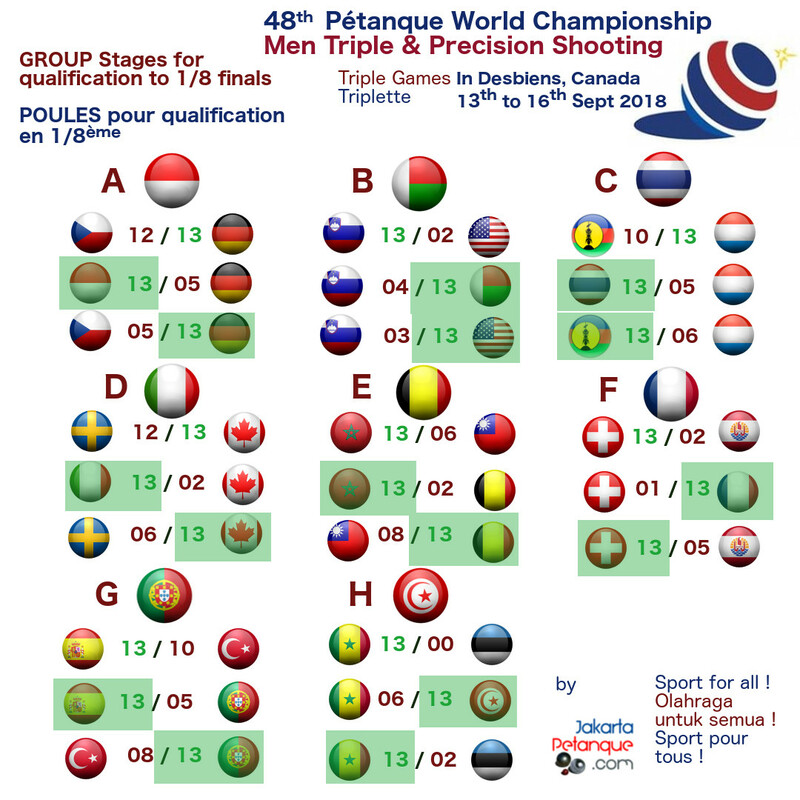 Here you will find all informations about “Pétanque” this great Game-Sport coming from France and surrounding Mediterranean countries. 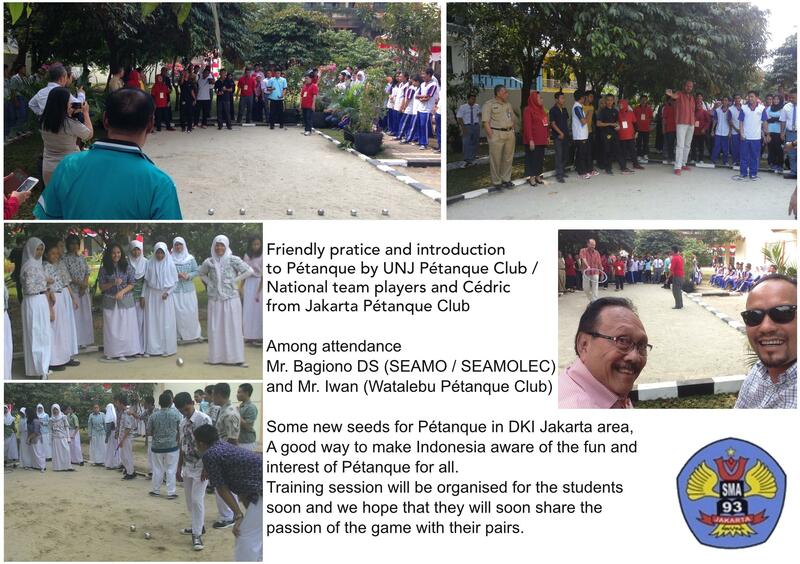 It is simple, fun & friendly & can be enjoyed by everyone ! 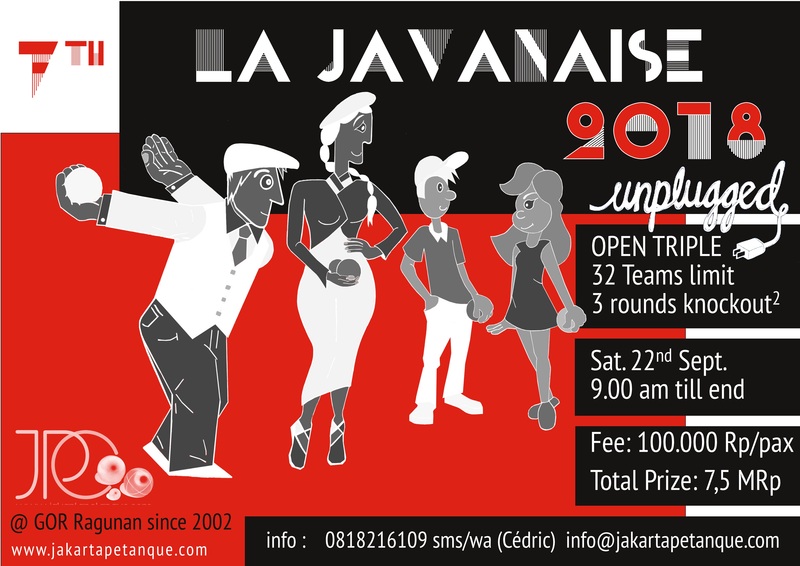 No matter your age, condition or sport level you can have a great time with pétanque. 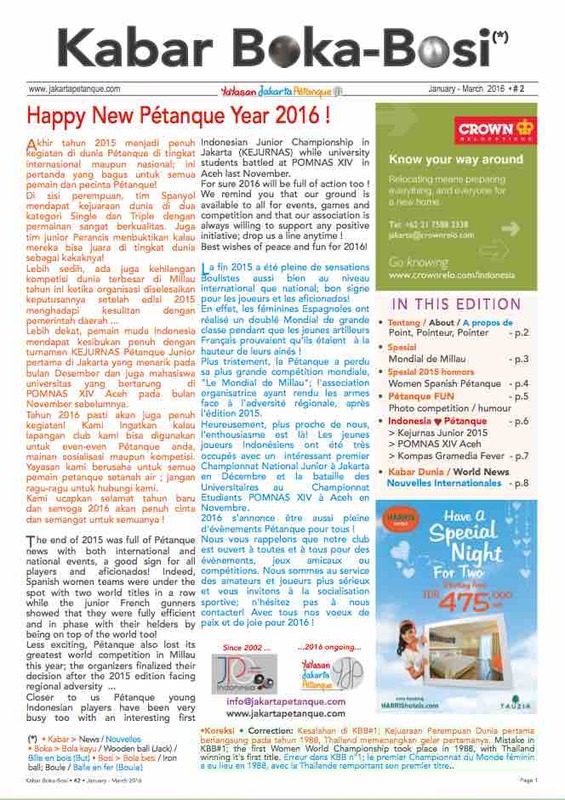 Also it can be played by women or men without any problems ! 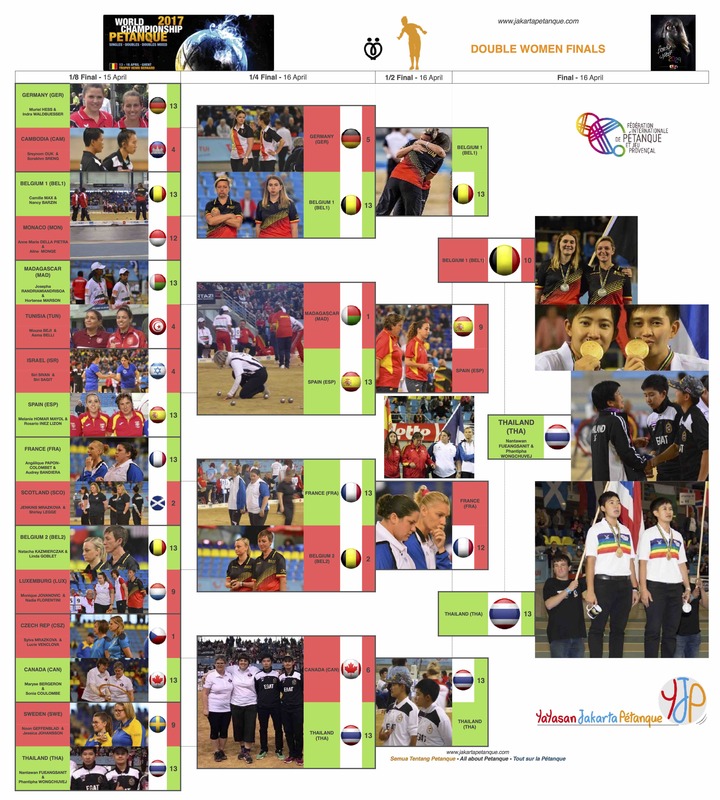 It is also demanding as a competitive sport wich requires focus, passion and mental strengh beside practice. 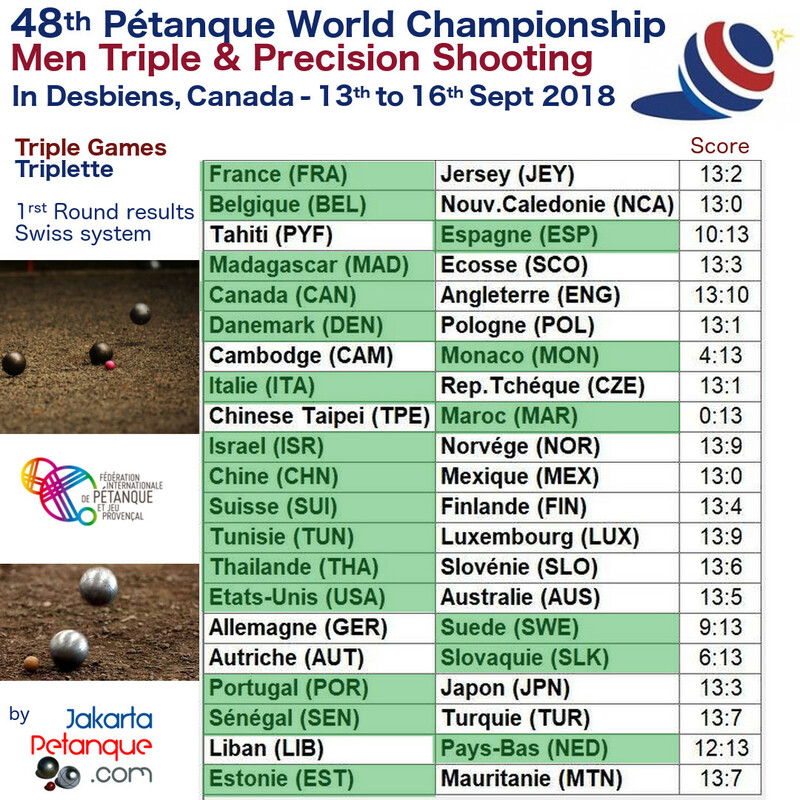 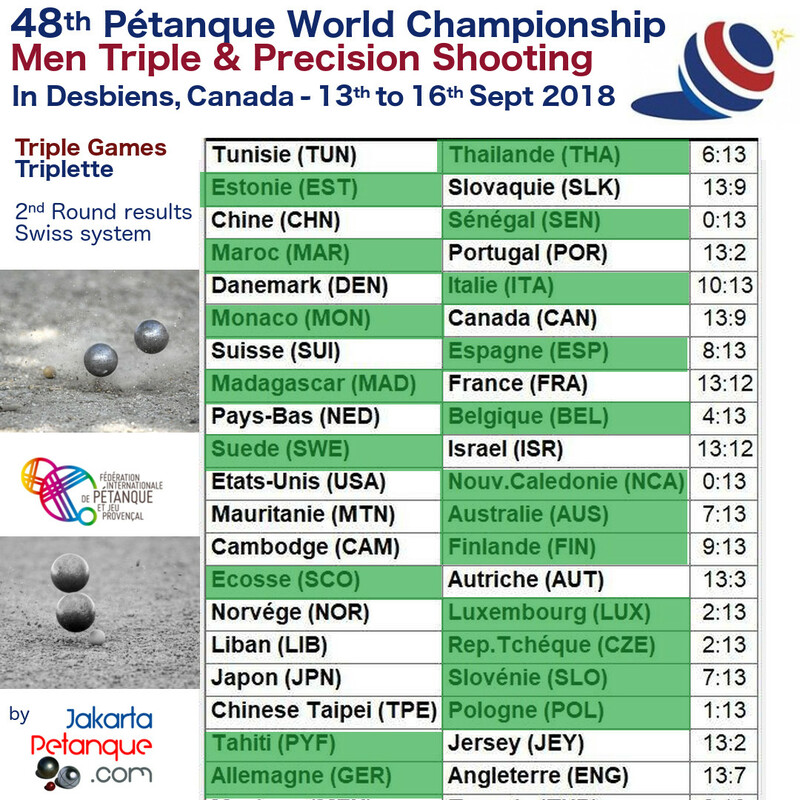 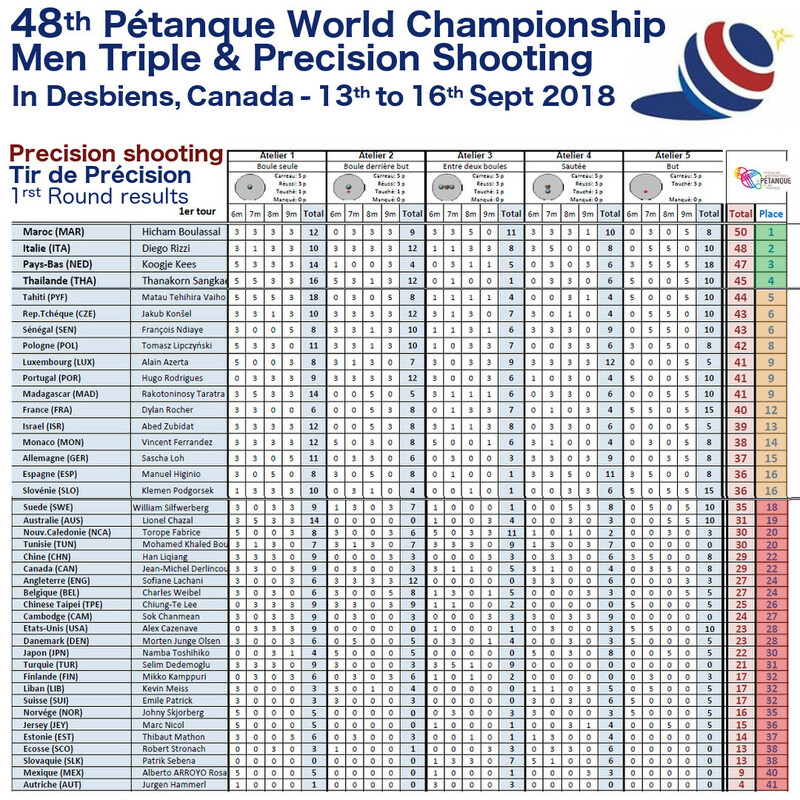 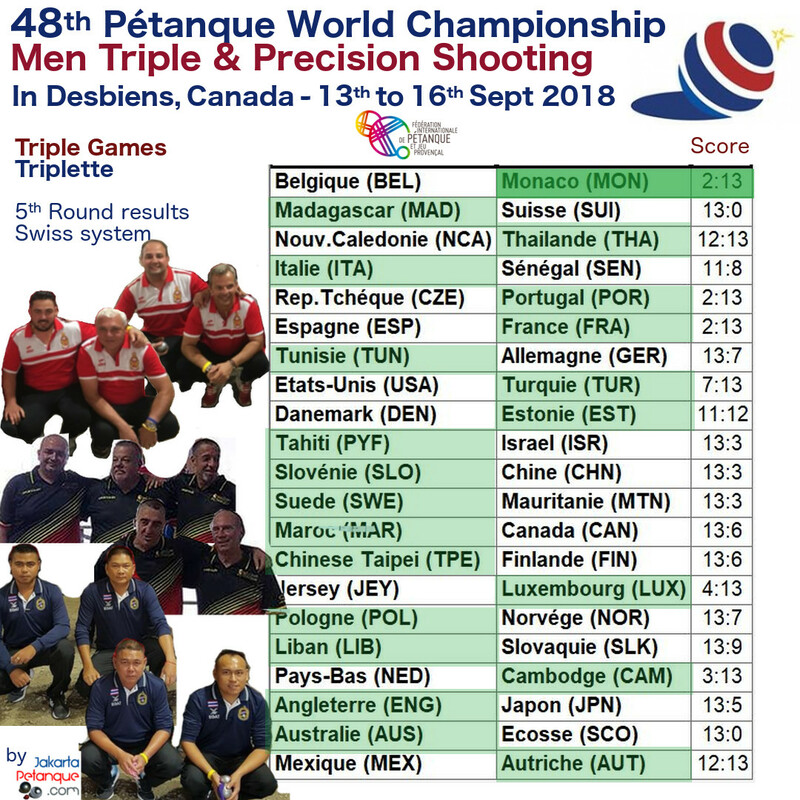 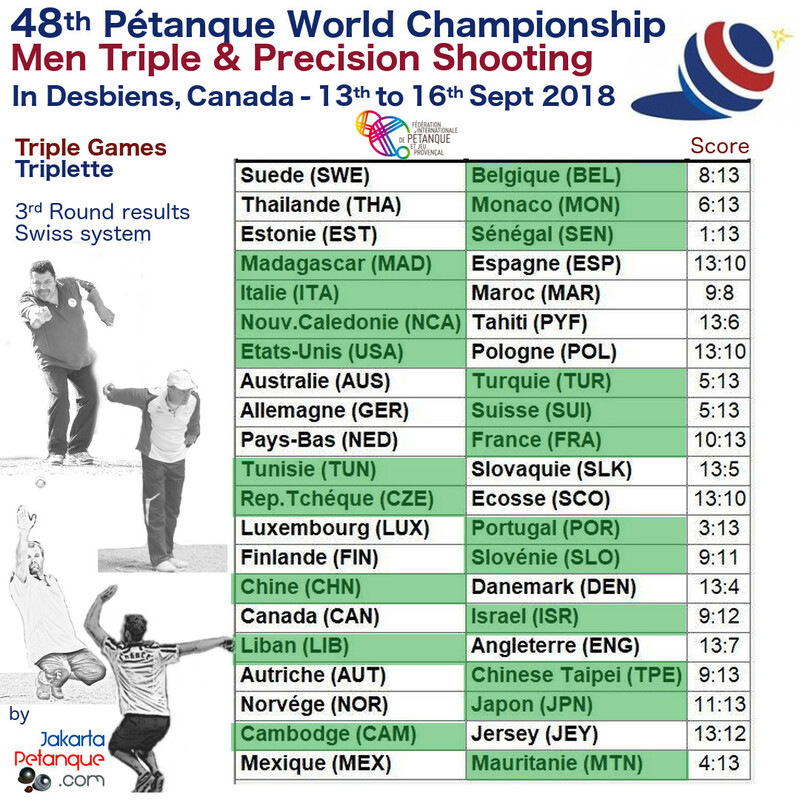 All the results of Petanque World Championship 2017 in Ghent, Belgium. 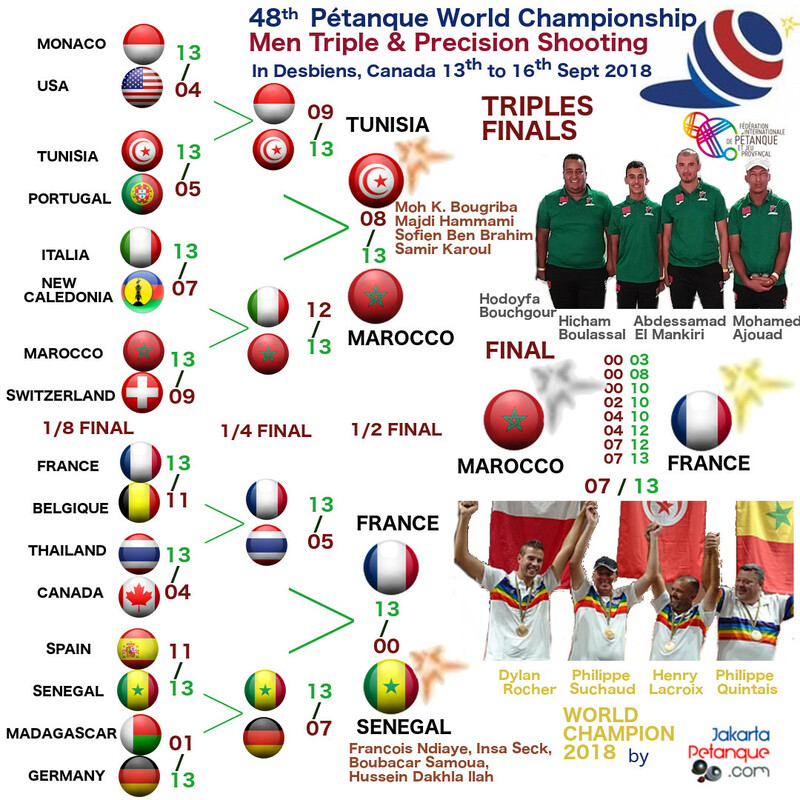 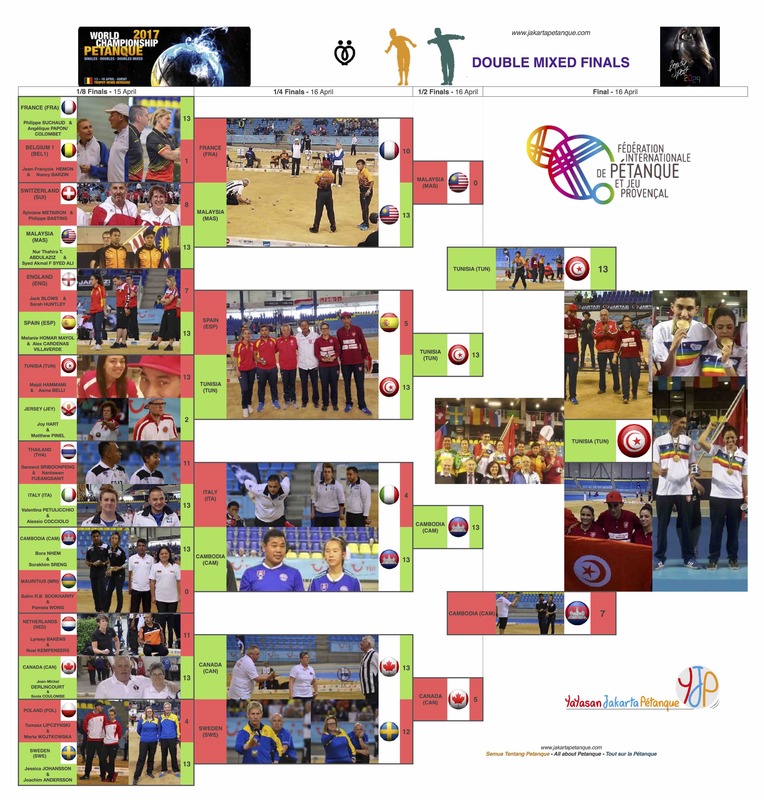 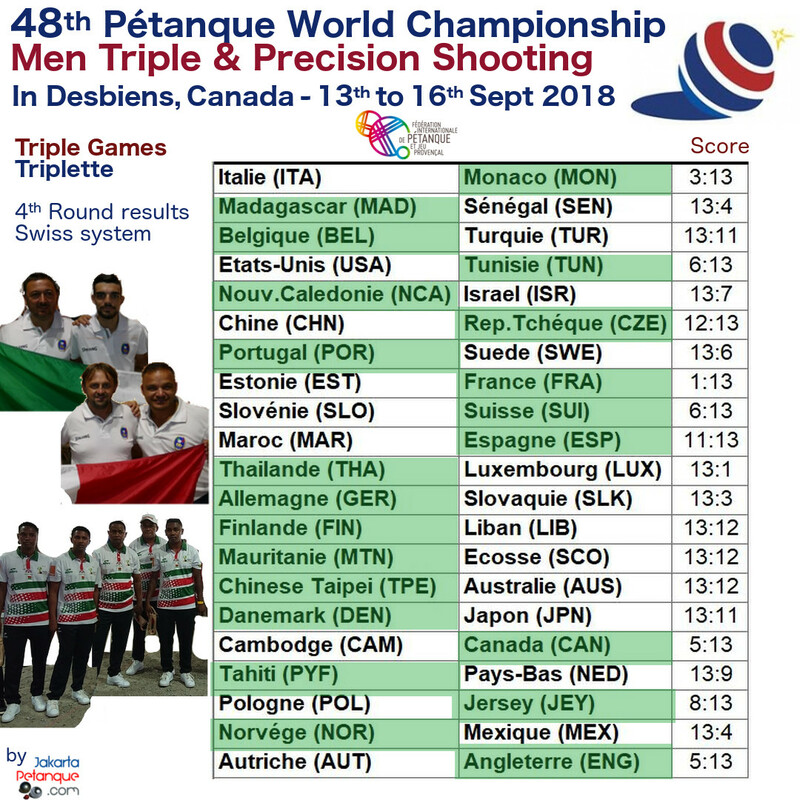 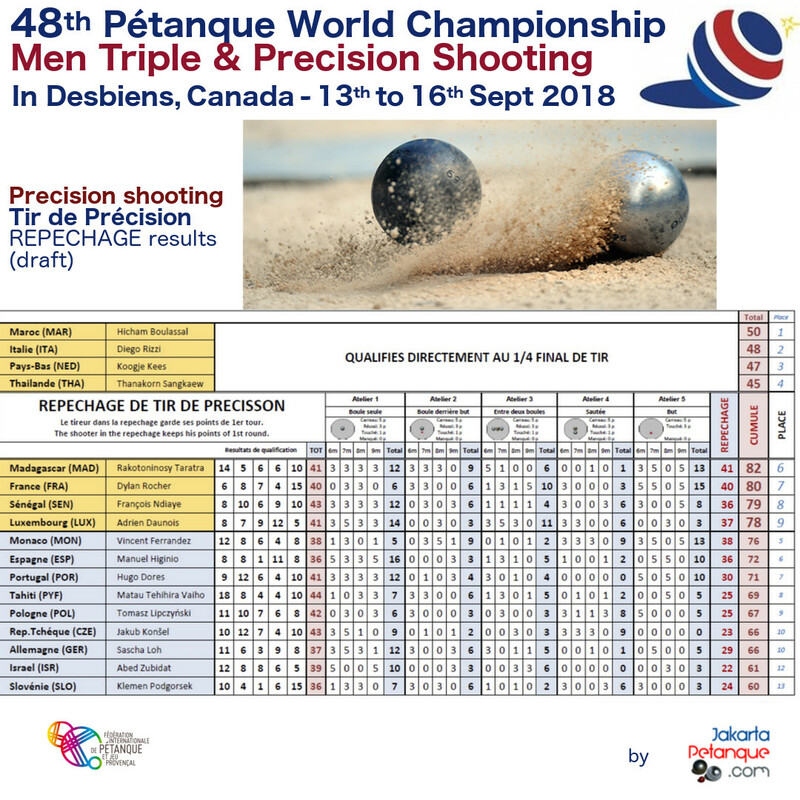 After the WC in Triple Men in Madagascar last year, it was the 1rst Edition of Petanque WC in Double Teams ( Double Women, Double Men and Mixed Doubles) and the 2nd Edition of the Single Men and Women WC. 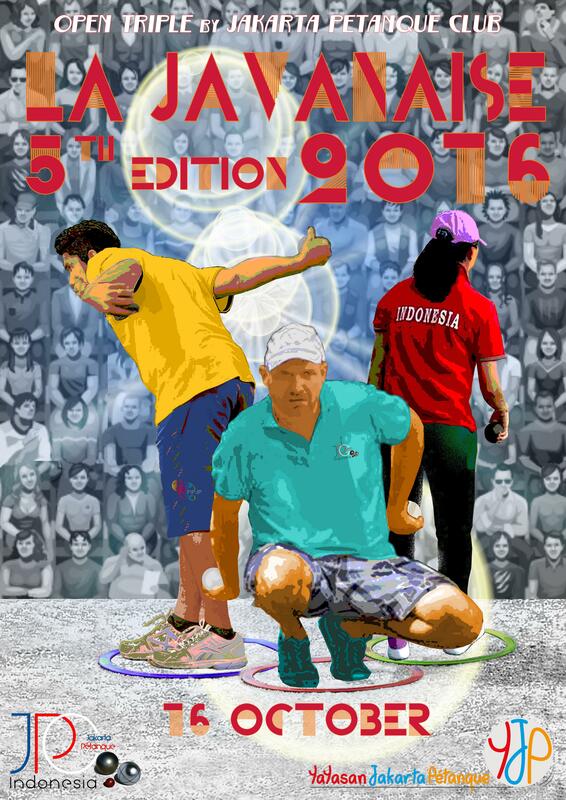 A great Event with hundreds of players from all over world Petanque scene gathering to reach for the podium. 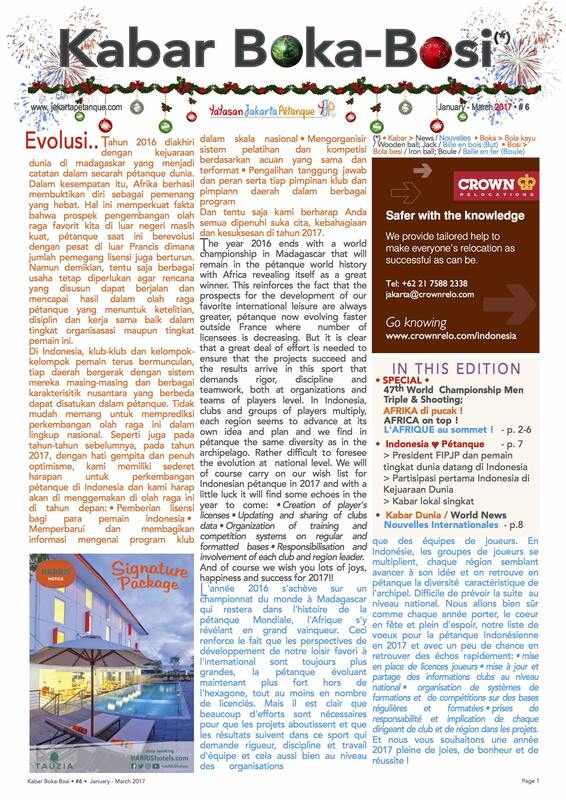 We give you access to our Quarterly Newsletter Publication here ! 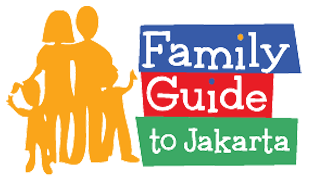 in Indonesian, French & English ; We hope you will enjoy this work ! 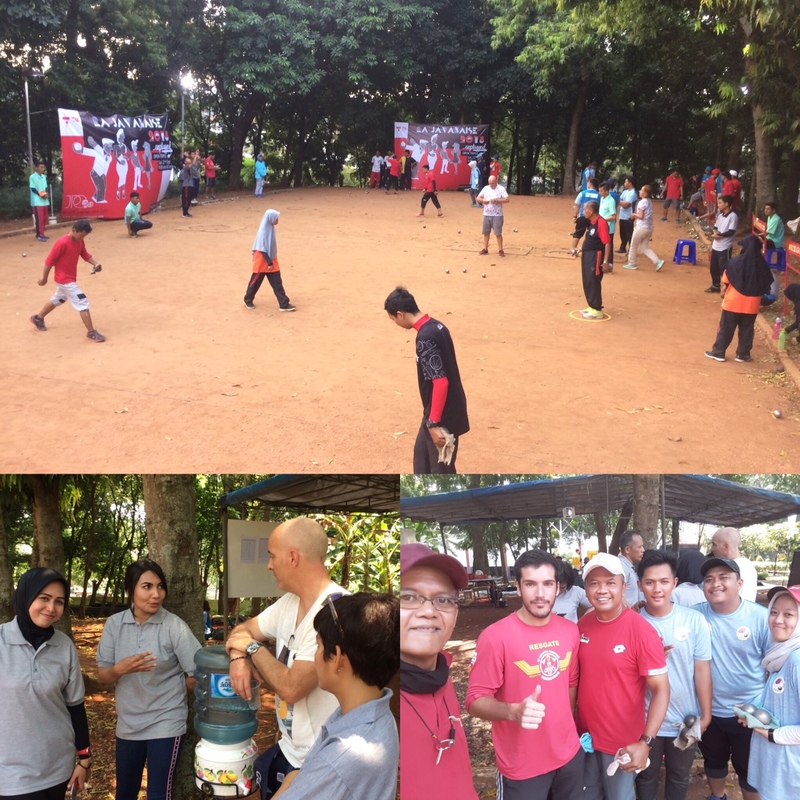 klik on KBB images/links below and ENJOY ! 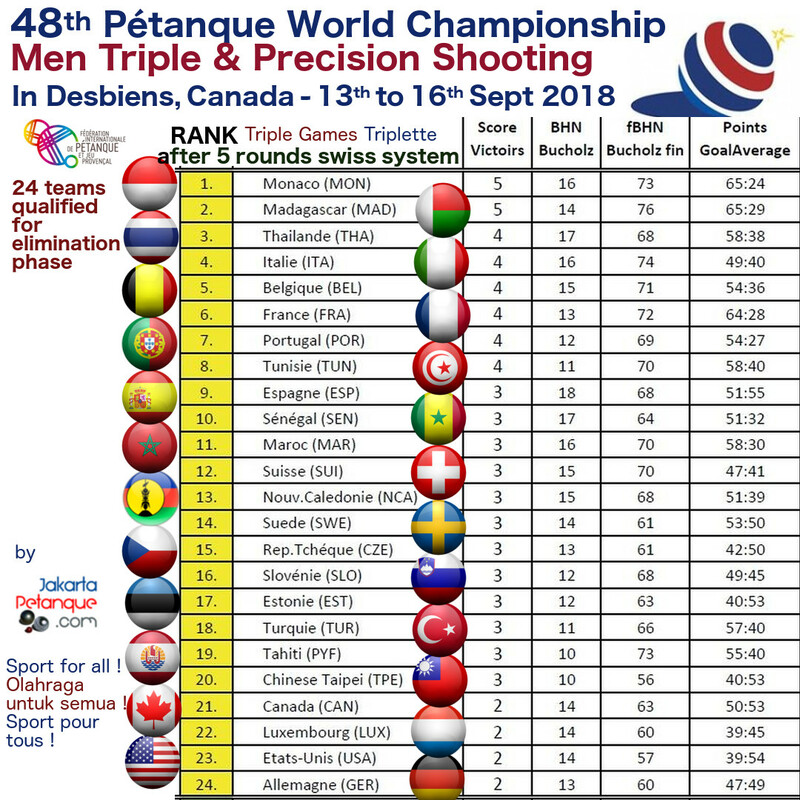 Thongsri Thatamakor “NOK” – 5 times Women Triple world champion since first edition in 1988..and precision shooting world champion in 2004.. and many many victories in international and asian tournaments. 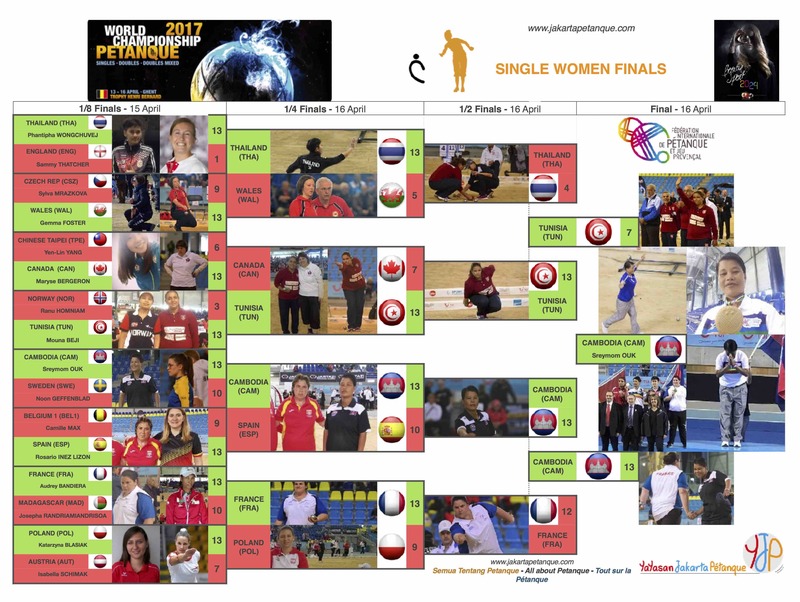 Phantipha Wongcchuvej “THAI” Phusa-at “HONG” – 3 times Women Triple world champion.(2004-2006-2009).. 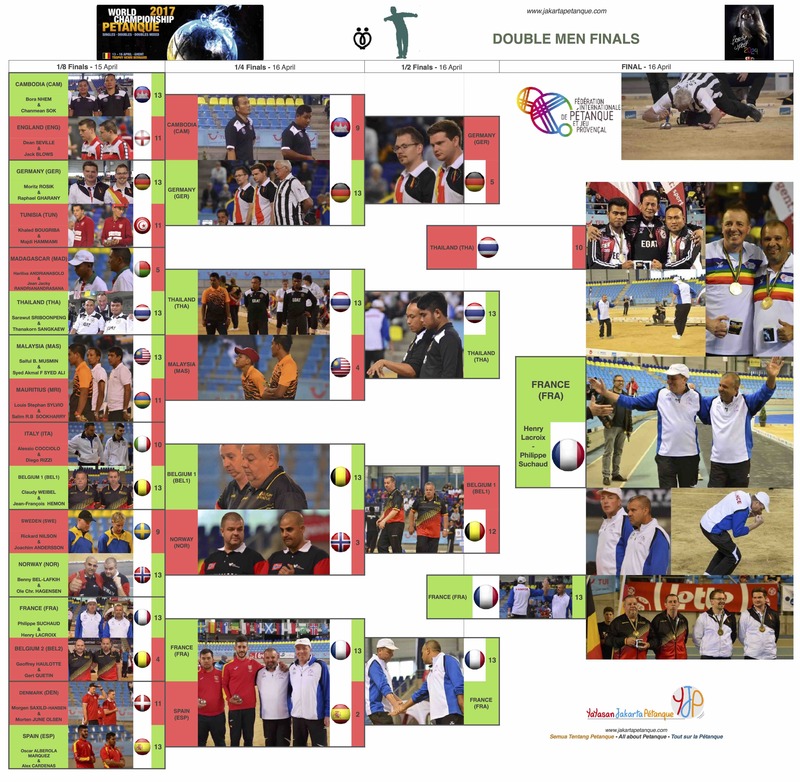 and also lots of victories in international and asian tournaments. 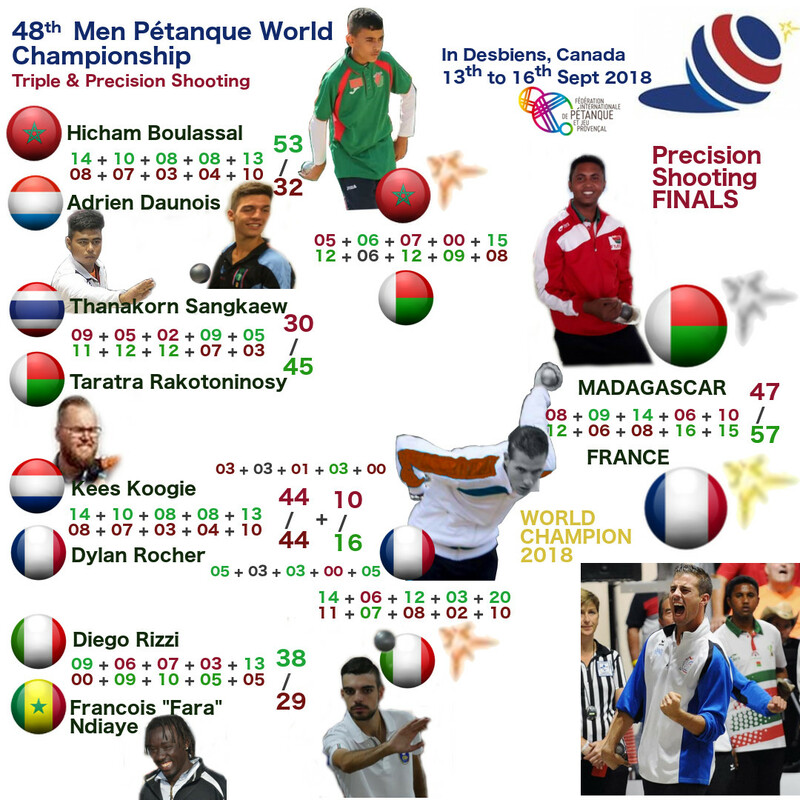 Farid Bekrar – Junior World Champion runner up at 13 years old and French elite player. 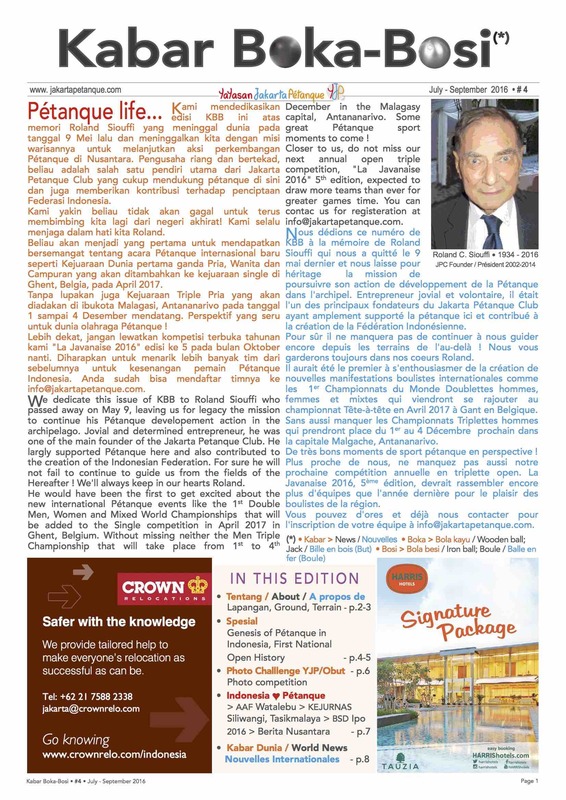 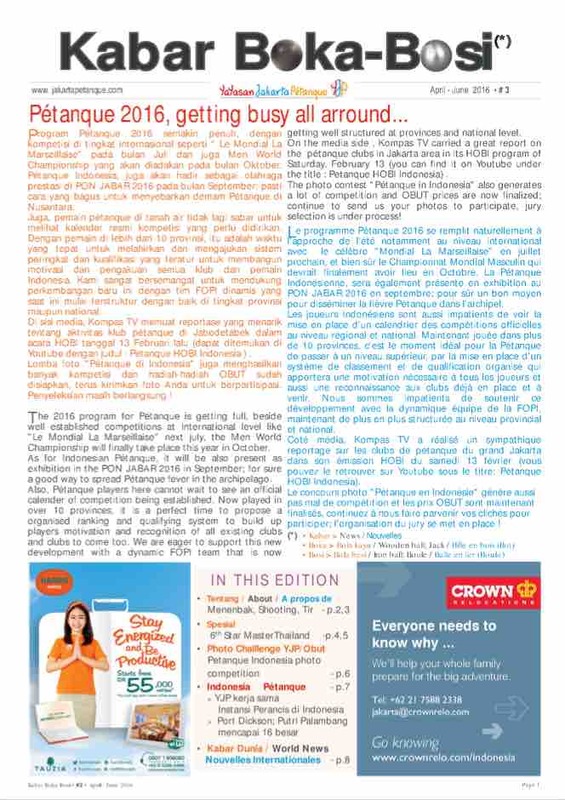 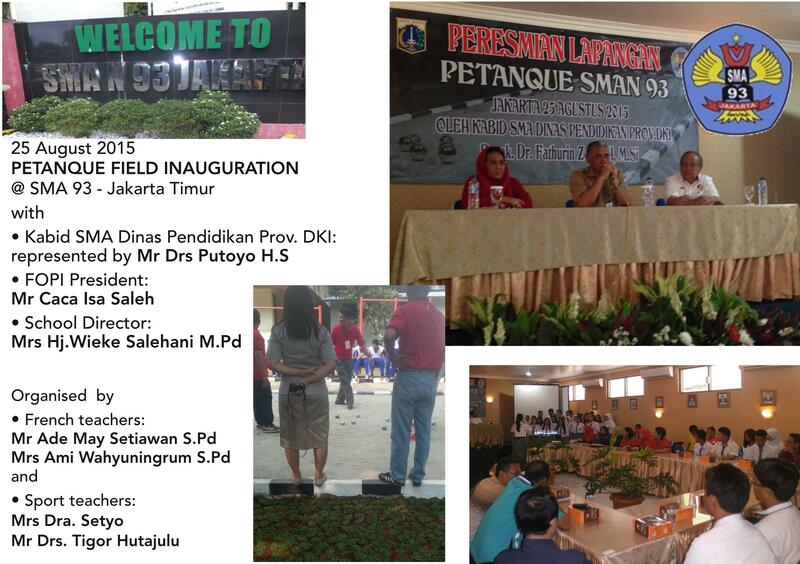 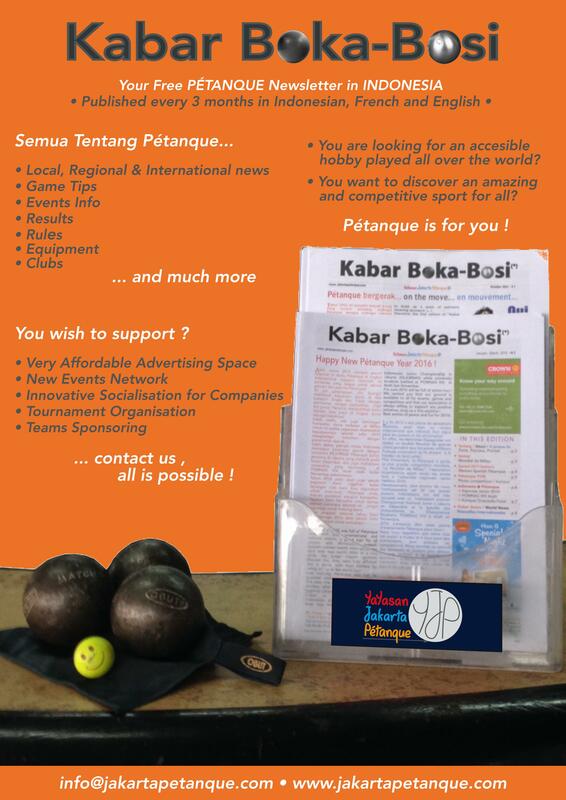 Last October 2015 we started to publish “Kabar Boka-Bosi” a trilingual Petanque Newsletter aiming at supporting Pétanque development in Indonesia, improving clubs communication and informing all the players too. 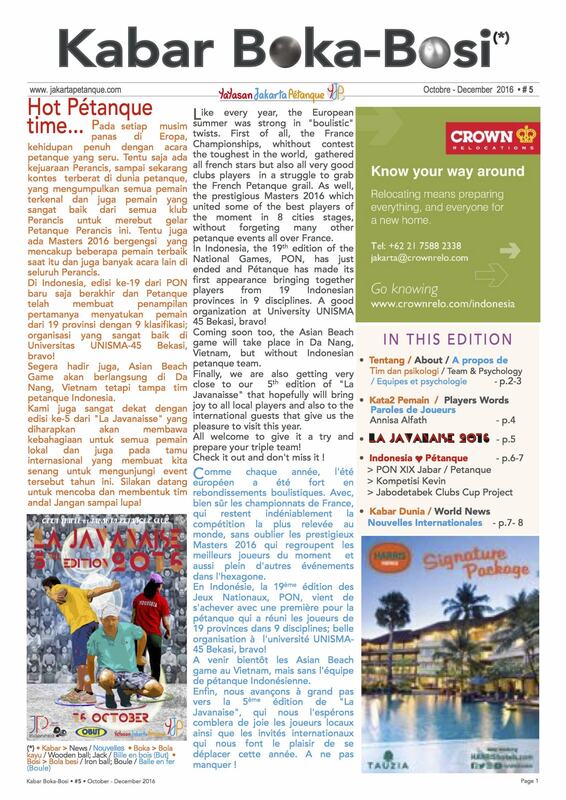 We thanks IFI for their support in distribution as well as all advertisers and networkers helping in this project.